** NO BOAT LICENCE OR ANY EXPERIENCE REQUIRED ** Includes colour fish finder, 4 premium hire rods, 2 bait packs, tackle and knife. Select your date and start time. Simply reschedule if bad weather prevents the hire, no fees, no hassles! ** ENHANCED EXTREME BOAT 75HP - BOAT LICENCE AND EXPERIENCE REQUIRED ** Start at 7.30am or 8.30am Select another date if plans change or bad weather prevents hire. ** CLASSIC BOAT - NO BOAT LICENCE OR ANY EXPERIENCE REQUIRED ** Select your start time (the water is calmer and the most fish are caught in the morning). Simply reschedule another date if bad weather prevents hire, no fees, no hassles! 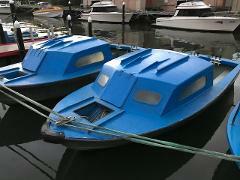 ** MAXI BOAT - NO BOAT LICENCE OR ANY EXPERIENCE REQUIRED ** Select your start time (the water is calmer and the most fish are caught in the morning). Simply reschedule another date if bad weather prevents hire, no fees, no hassles! ** EXTREME BOAT - NO BOAT LICENCE OR ANY EXPERIENCE REQUIRED ** Select your start time (the water is calmer and the most fish are caught in the morning). Simply reschedule another date if bad weather prevents hire, no fees, no hassles! 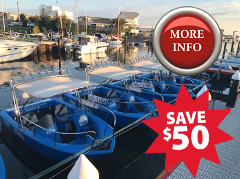 ** CLASSIC BOAT - NO BOAT LICENCE OR ANY EXPERIENCE REQUIRED ** Fishing for snapper at sunrise (the water is calmer and most fish are caught early morning). Simply reschedule another date if bad weather prevents hire, no fees, no hassles! 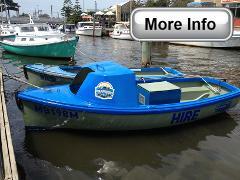 ** MAXI BOAT - NO BOAT LICENCE OR ANY EXPERIENCE REQUIRED ** Fishing for snapper at sunrise (the water is calmer and most fish are caught early morning). Simply reschedule another date if bad weather prevents hire, no fees, no hassles! ** EXTREME BOAT - NO BOAT LICENCE OR ANY EXPERIENCE REQUIRED ** Fishing for snapper at sunrise (the water is calmer and most fish are caught early morning). Simply reschedule another date if bad weather prevents hire, no fees, no hassles!